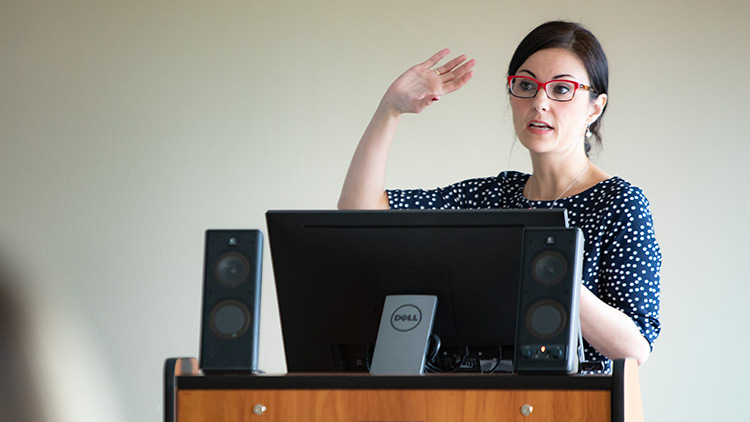 The important role of research on campus was once again celebrated as faculty from across disciplines presented their work during the 2019 StFX Faculty Research Day held March 22 in Bloomfield Centre. Dr. Kevin Wamsley, Academic Vice President & Provost, speaking in opening remarks, noted today is a day to celebrate the outstanding research culture we have at StFX. “Thank you for coming out to share your research and to hear about the research of others,” he said. 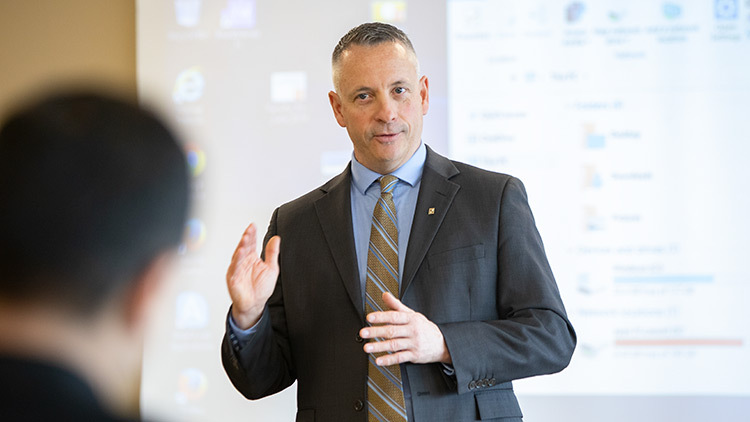 At StFX, he says, faculty are dedicated to teaching, which is so important, and also have outstanding research programs, where they get grants, publish in top-ranked journals and provide opinion and commentary in a number of outlets. The day’s facilitator was Dr. Richard Isnor, Associate Vice President Research and Graduate Studies, whose office sponsored the event. New this year, Faculty Research Day also included a Lunch with Arts, Health Research Panel with colleagues from four universities across Canada and an Arts/Health Research Workshop, both hosted by StFX sociology professor and Canada Research Chair (Tier 2) Health Equity & Social Justice Dr. Katie Aubrecht. StFX’s 17th annual Student Research Day was also held the night before, March 21, in Bloomfield Centre, and Dr. Isnor says holding the two events back-to-back over consecutive days in the same location is meant to encourage sharing across both groups. The event concluded with a research reception in the McNeil Gallery, Schwartz School of Business to celebrate major research accomplishments from the past year.